BOSTON – When heavyweight Arjan Bhullar makes his next octagon walk, he’ll honor his faith by wearing a traditional turban. It might even have a Reebok logo on it. 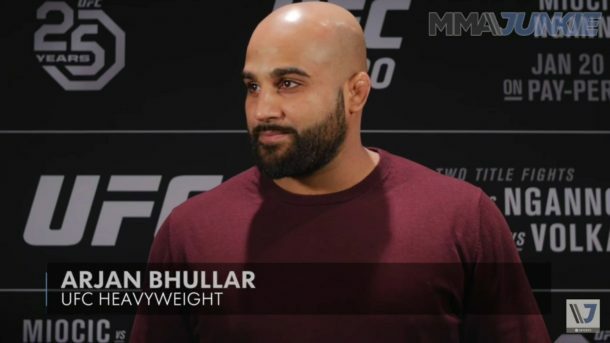 Backstage at this past Saturday’s UFC 220, Bhullar (7-0 MMA, 1-0 UFC) told reporters that he’s been cleared by the promotion to don the headwear for a fight with Adam Wieczorek (9-1 MMA, 1-0 UFC) at UFC on FOX 29, which takes place April 14 at a location to be determined.